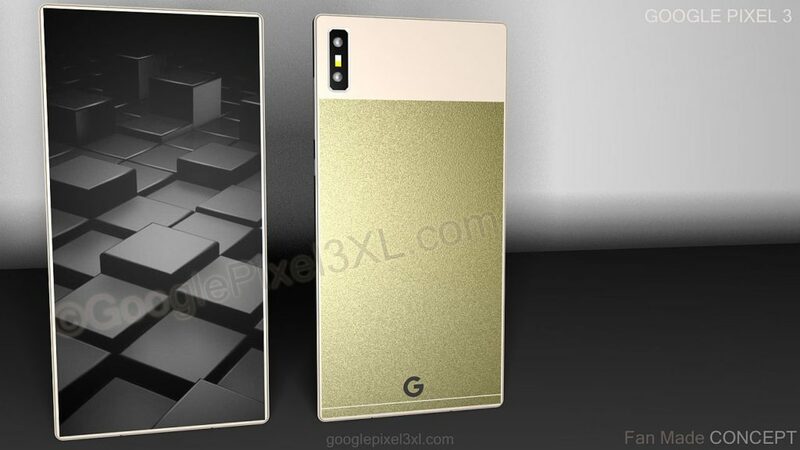 Seeing how the Google Pixel 3 name is pretty much official following recent leaks, it’s time to also start seeing some renders. 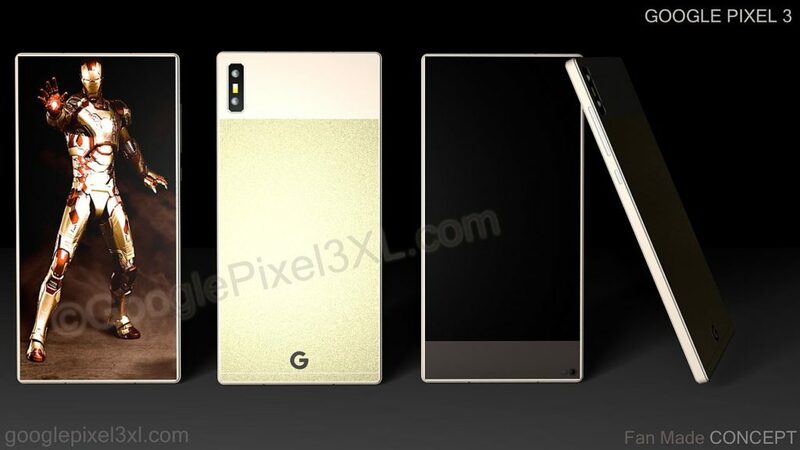 Designer Sunny Gandhi is on the case, having created a hybrid Pixel 3 concept, with a special kind of display. Let’s check it out. We’re dealing with a hybrid screen here, that combines the traditional one and a transparent panel. First of all we get a full view display, covering up 97% of the device’s facade. 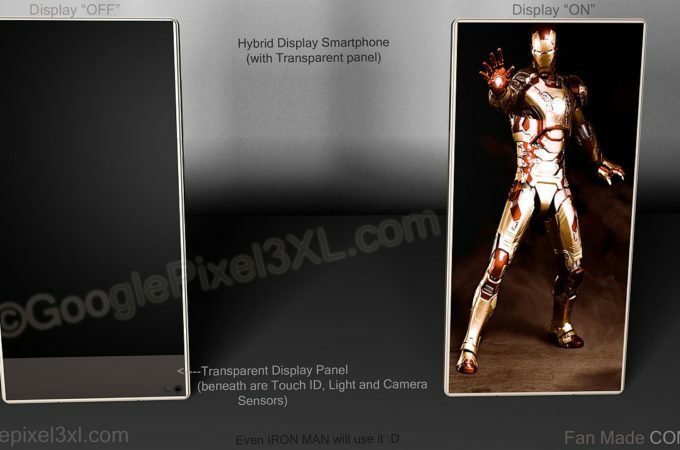 Then we get a hybrid display with a traditional panel and transparent panel combined. 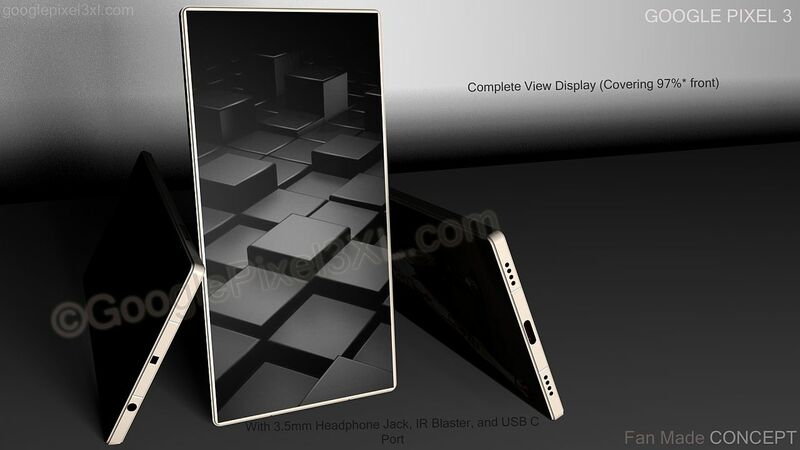 The transparent panel has underneath it the fingerprint scanner and the usual sensors and front camera, all covered with glass. This means that the whole facade is up to the touch and input. We get an earpiece also integrated below the glass, by the way. 8 GB of RAM, 128 GB of storage and a Snapdragon 85X CPU round up the specs list. 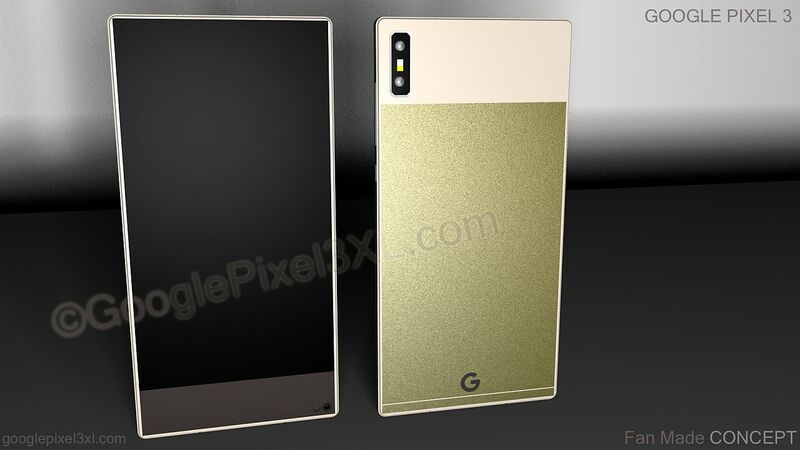 The design seems rather typical, with an angular/rectangular approach and a pretty old school looking dual back camera. The phone seems to sport an unibody metal design, which leaves out wireless charging. I think that glass is the way to go, at least partially for the back side. I noticed that the dual tone color approach is kept from previous Pixels. I’m digging the facade and transparent part, but not the design of the dual camera, which feels rushed.